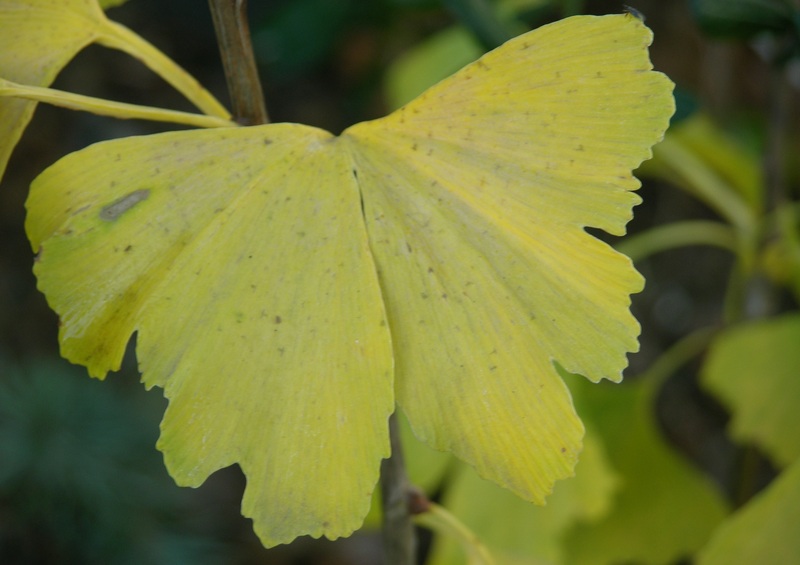 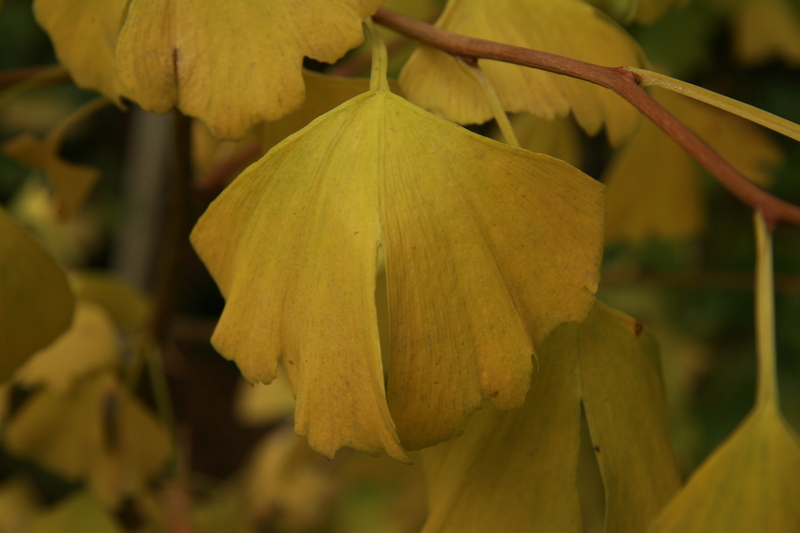 The Ginkgo is native to China and is the oldest known living tree; some specimens live up to 1000 years. 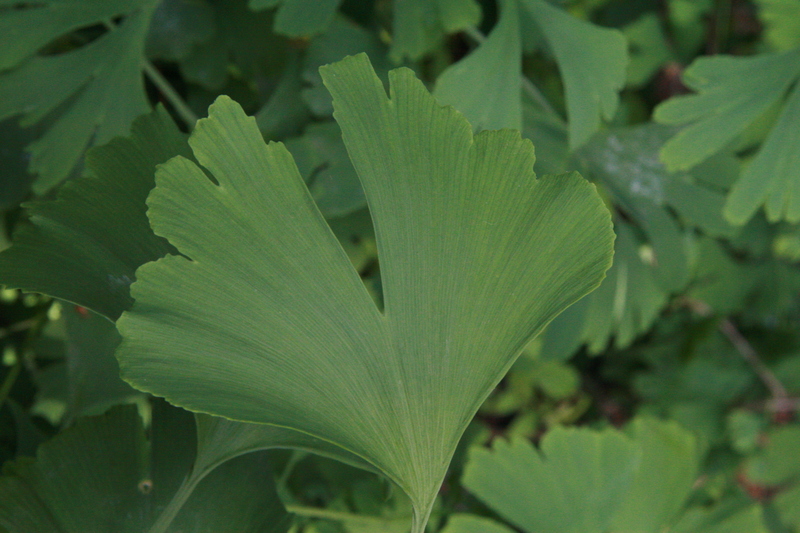 Once nearly extinct, the numbers have increased and Ginkgos easily adapt to most cultural situations including pollution. 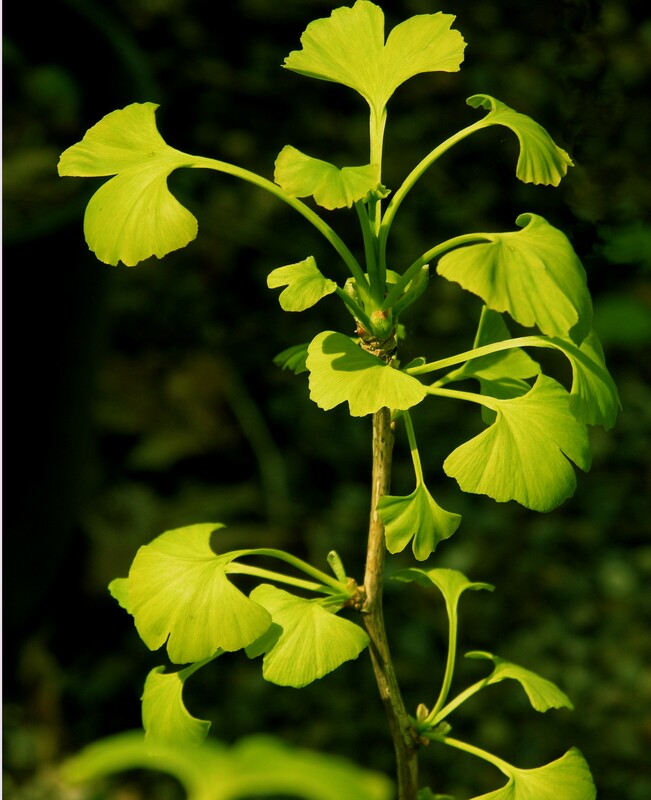 Maidenhair Tree will grow well in sun or part sun in USDA zones 1-10. 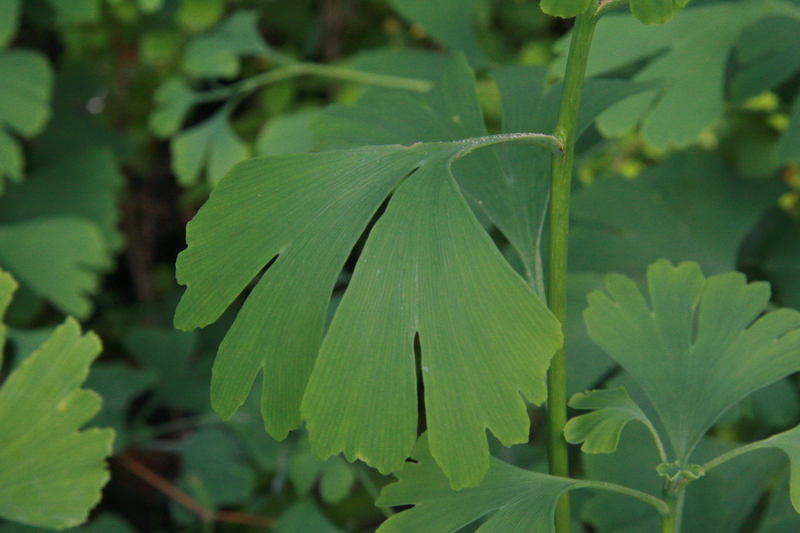 The light green leaves resemble those of the Maidenhair Fern and provide nice yellow fall color, and the bark will become rough and attractive with age. 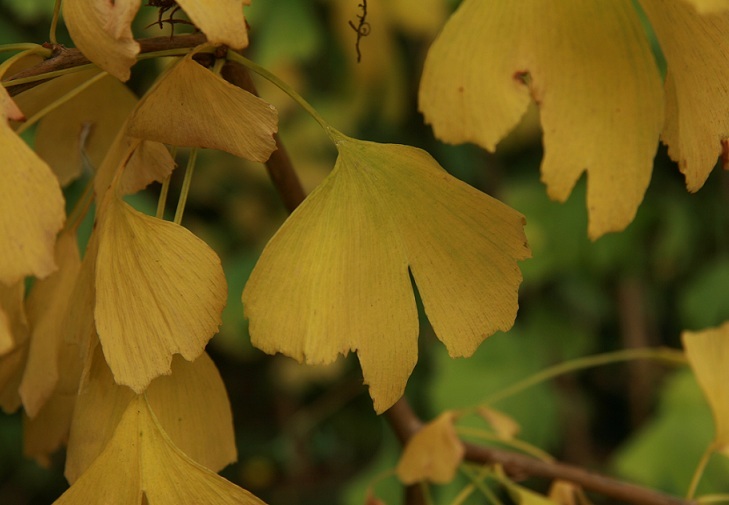 Ginkgos can reach 60-80 feet and are open and airy with narrow crowns, not a good shade tree. 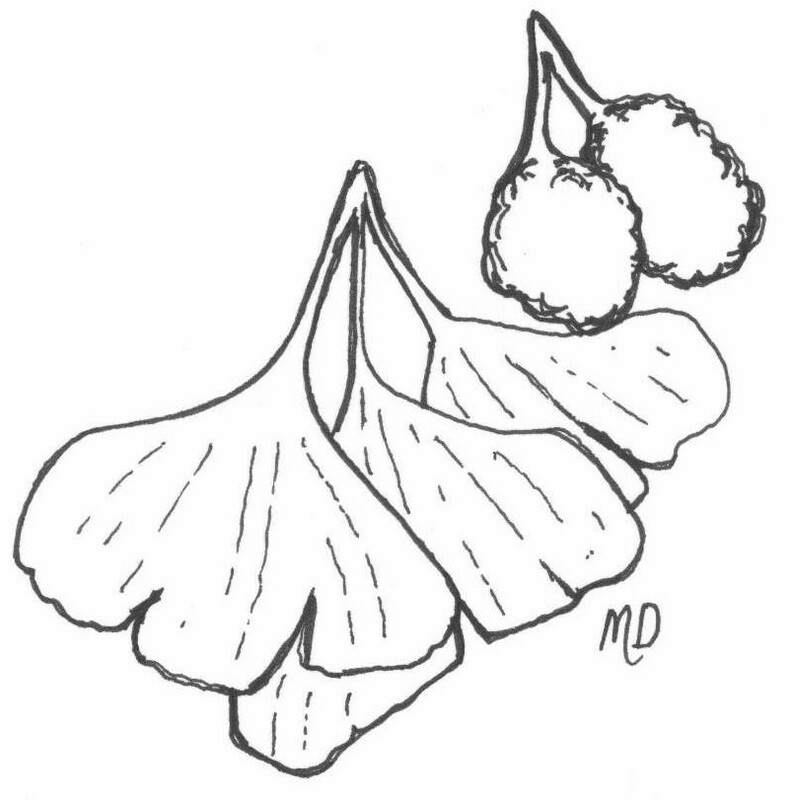 The flowers and fruit emerge on female trees at around 20 years of age but only if a male tree is nearby to pollinate them. 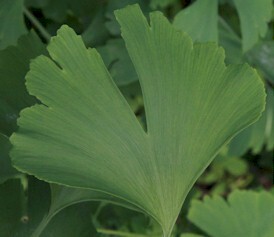 The fruit has a reputation of exuding a foul smell but the nut inside is considered a delicacy in its native land. 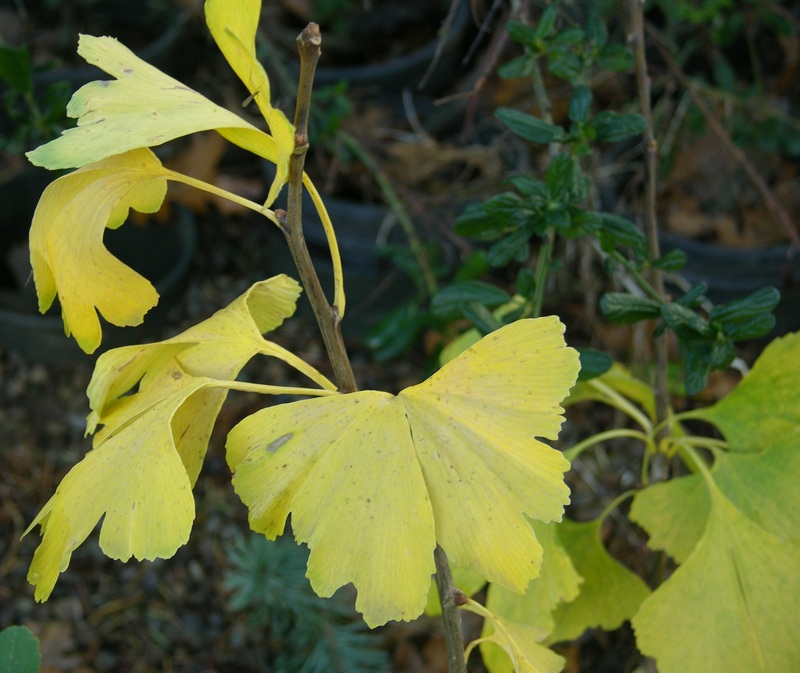 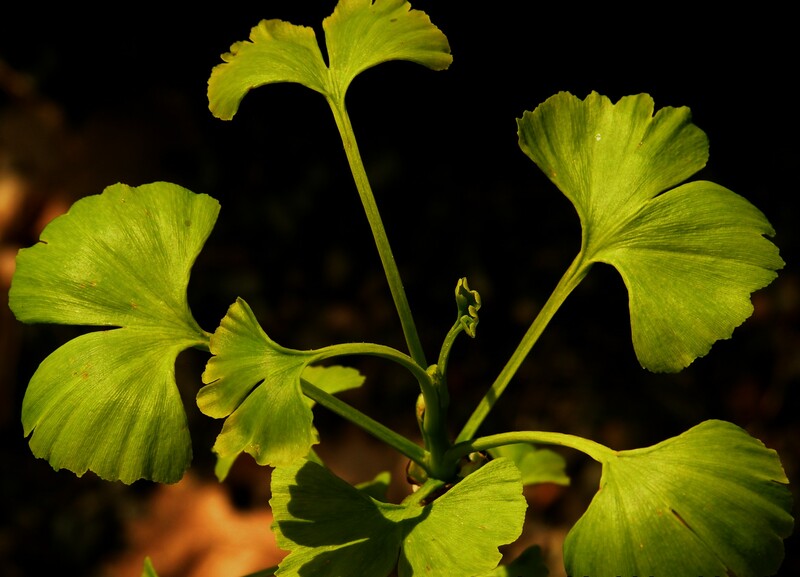 Most gardeners grow Ginkgo Trees for their delicate foliage and the historical significance. 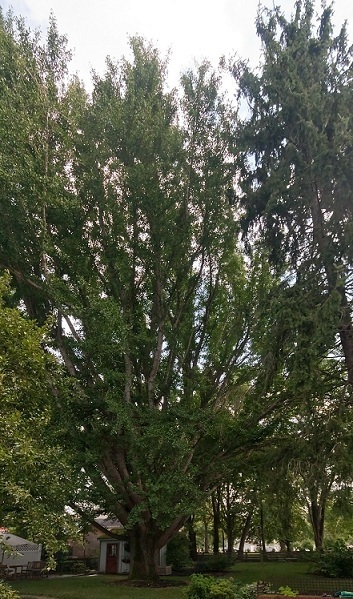 Photo above center, mature tree taken by Greg Hume.